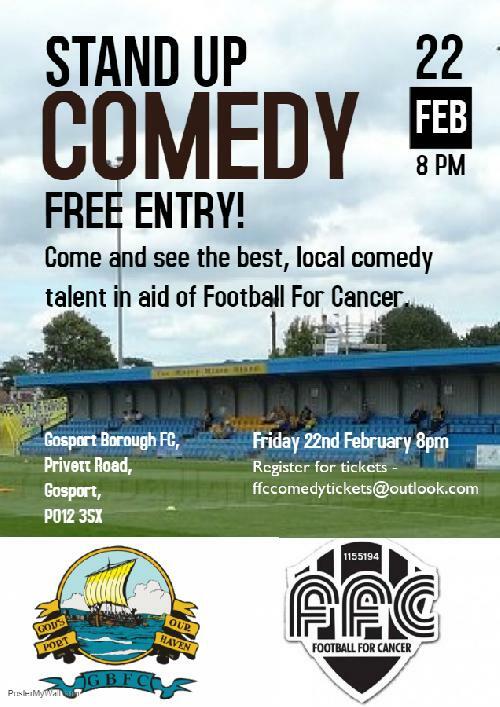 A charity comedy night in aid of Football For Cancer. Crowd will be around 80-100 (hopefully!). Majority of the crowd will be football fans. Observational and topical stand up comedian. Based on the South Coast, but happy to travel for gigs!